Tsurusaki castle (鶴崎城) was existed around the place of current Tsurusaki elementary school and Tsurusaki high school. 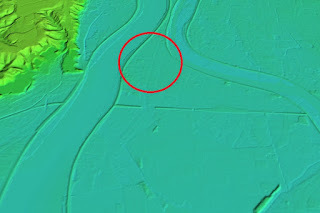 Because of land reclamation this area becomes huge flat land between Ono-gawa river and Otozu-gawa river, but formerly Tsurusaki area was a small sandbank further separated by Tsurusaki-gawa river only connected to the southward by narrow path. Tsurusaki area is at the east end of Oita plain and connecting point toward Sagamisaki peninsula or Usuki area. 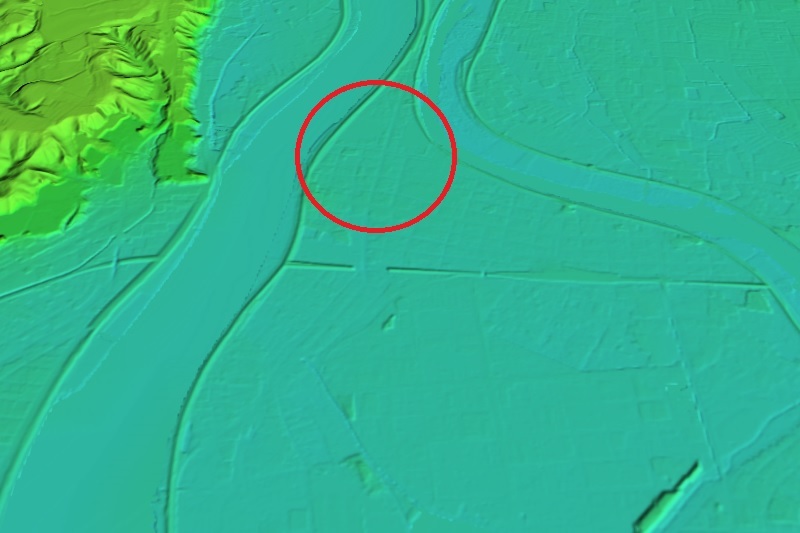 Further, Ono-gawa river was an important route of river transportation toward the inner part of Bungo province (Oita prefecture) such as Takeda area or Bungo Ono area, and the mouth of the river itself was a good port. Because of this geographic condition, Tsurusaki port prospered since the beginning of Muromachi era. Tsurusaki castle might be built in the former half of 16th century by Nagamasu Yoshioka (?-1573), an important retainer of Otomo clan. Yoshioka clan was a branch family of Otomo clan, and at first lived at Chitose castle at the west from Tsurusaki castle. 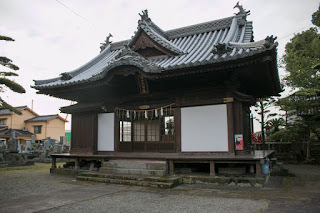 Yoshioka clan had been quiet in the history but suddenly emerged at the time of Nagamasu Yoshioka. Nagamasu Yoshioka was appointed as Kaban-shu, a signing retainer, at the time of Yoshiaki Otomo (1502-1550). At this time Nagamasu lead his army and fought against Ouchi army which was the strong warlord of Nagato province (Yamaguchi prefecture), to support Shoni clan. But at this time this support to Shoni clan failed and Nagamasu resigned his position. After the incident of Nikai-Kuzure, a substantial coup d'tat by Yoshishige Otomo (1530-1587) who was the son of Yoshiaki, Nagamasu Yoshioka returned to the position. Nagamasu and Akisumi Usuki (1520-1575) were praised as two senior retainers of Bungo province who took the administration of Otomo clan. Otomo clan gave wide authority to these senior retainers, including administration, diplomacy and military. 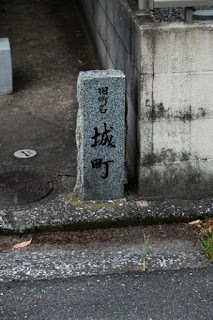 Later this authority was given to the untalented close retainers of Yoshishige and became a cause of the fall of Otomo clan, but at first this structure well worked to fight against other warlords at the north part of Kyushu region far away from Bungo province. After the fall of Ouchi clan in 1555, Mouri clan which was the warlord of Aki province (Hiroshima prefecture) which ruined Ouchi clan and Otomo clan fiercely struggled for the dominance of north part of Kyushu region, especially for Hakata city. Because of the plot of Motonari Mouri (1497-1571), an intellectual leader of Mouri clan, local lords of the area left Otomo clan one by one and Otomo clan fell into a crisis. At this time, under the plot of Nagamasu, Otomo clan supported the raise of former retainers of Amago clan that was ruined by Mouri clan, lead by Yukimori Yamanaka (1545-1578) at the backside of Mouri territory. Furthermore, Otomo clan also sent a relative of Ouchi clan to their former capital Yamaguchi city, to disrupt Mouri clan. These plots well worked then Mouri army returned all army to their territory, and Otomo army subjugated rebelled local lords without the support of Mouri clan. 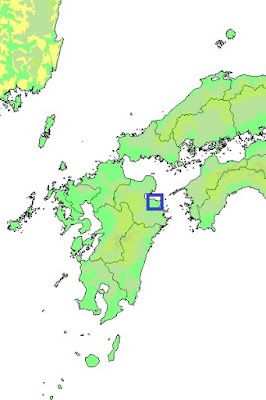 Above two plot themselves failed, but Otomo clan turned the corner and captured north part of Kyushu island. After Nagamasu, his son Akioki Yoshioka (?-?) succeeded his position and became a signing retainer. But Akioki died in the battle of Mimikawa against Shimazu army in 1578, thus his son Munemasu Yoshioka succeeded Yoshioka clan. Wife of Akioki became a sister to mourn lost husband and named as Myorinni (?-?). In 1586, Shimazu army started total attack against Otomo clan for the unification of Kyushu island. 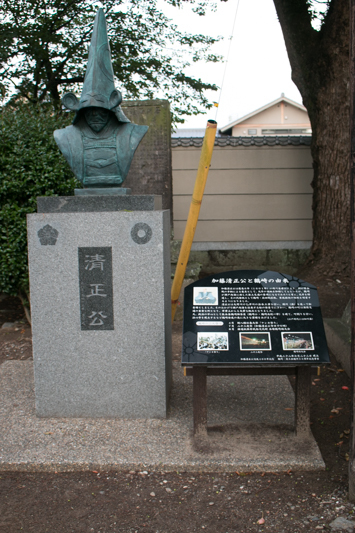 After the defeat of the battle of Hetsugigawa, Yoshimune Otomo (1558-1610), the successor of Yoshishige Otomo, disposed Funai city then Shimazu army intruded into Oita plain. Iehisa Shimazu (1547-1587), the commander of Shimazu army, ordered his general to siege Tsurusaki castle with 3,000 soldiers in December 1585. As Munemasu Yoshioka was at Usuki castle with Yoshishige Otomo, there remained quite limited soldiers in the castle. 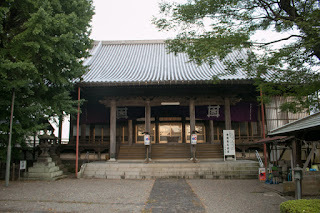 But Myorinni who might be over 60 years old decided to resist against Shimazu army which was the enemy of her husband. The old lady strengthened small Tsurusaki castle digging the moats, placing the fences and boards as wall. Beside many pitfalls were made at the muddy ground around the castle, hidden by grasses. As the narrow path at the south of the castle is an expected approach route, a combination of wall and mort was added to stop the enemy. Myorinni gathered local residents and armed, then waited for the arrival of Shimazu army. 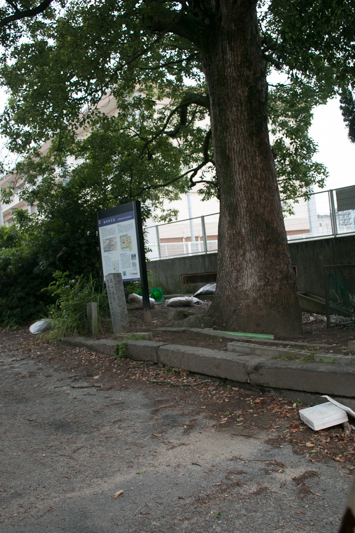 As Tsurusaki castle was a small castle at flat area, Shimazu army tried to attack the castle forcefully. But they fell into the numerous pitfalls and shot by matchlock guns from the castle, and suffered severe damage. Shimazu army once retreated and repeated their attack from different points, but Myorinni rejected these attacks of Shimazu army 16 times. However, before continuous attack of Shimazu army outer part of the castle fell and supplies became short. At that time Shimazu army suffered certain damage recommended Myorinni to make peace, thus Myorinni once agreed this. 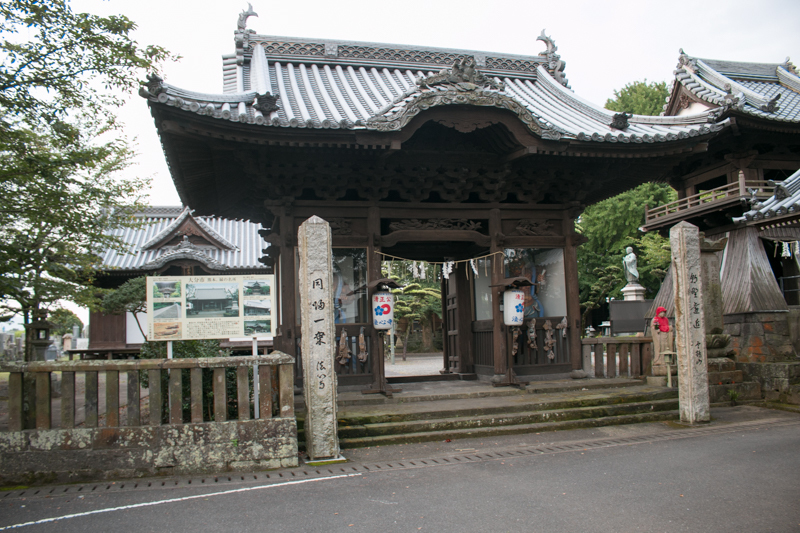 Yoshioka army left Tsurusaki castle, and entertained the commanders of Shimazu army by party. But this was also a plot of Myorinni. Three month after, facing the arrival of overwhelming army of central ruler Hideyoshi Toyotomi (1537-1598) to Kyushu island, Shimazu army decided to retreat from Bungo province and protect their original territory. At this time, Myorinni told the commanders of Shimazu army that she was too involved in Shimazu army and could not stay at this place. Therefore she planned to accompany with Shimazu army then hoped to have a farewell party. Commanders of Shimazu army trusted this and severely drunk then left the castle in advance. Looking at this, Myorinni sent her army and attacked dizzying Shimazu army from backside. Shimazu army lost many soldiers and two of three commanders, thus escaped from Tsurusaki area. Later Hideyoshi Toyotomi heard this and hoped to meet Myorinni, but Myorinni who accomplished revenge of her husband declined this invitation and returned to quiet life. In 1593, along with the expulsion of Yoshimune Otomo, Yoshioka clan lost Tsurusaki area. 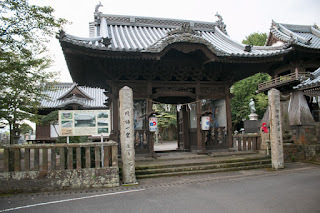 After the battle of Sekigahara in 1600, Tsurusaki area became a distant territory of Kiyomasa Kato (1562-1611), the feudal lord of Kumamoto domain at Higo province (Kumamoto prefecture). Tsurusaki castle was abolished, and an administrative office of Kumamoto domain was placed at the former site of the castle. 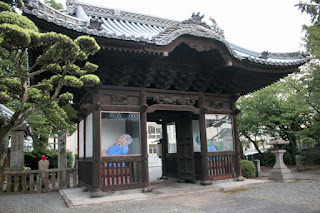 Throughout Edo era, Tsurusaki area prospered as a trading and communication port of Kumamoto domain to the central area. 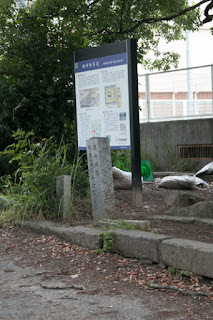 Higo Kaido road which connected Kumamoto city and Tsurusaki area across Kyushu island was prepared, and lords of Kumamoto domain used Tsurusaki port to visit Edo city. Now all structure was lost and memorial statue only existed at the site of the castle. Similarly, information on Myorinni is quite limited and her activity was only shortly recorded at military novels. It is quite difficult to imagine fierce battle and plot of 400 years ago from current situation, but hence it might attract the interest of later people. 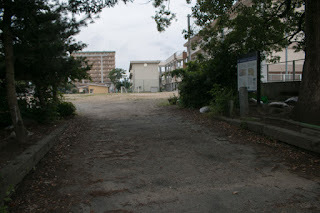 15 minutes walk from JR Kyushu Nippo Honsen line Tsurusaki station. 20 minutes drive from Higashi-Kyushu Jidoshado Expressway Oita-Miyagawauchi interchange.